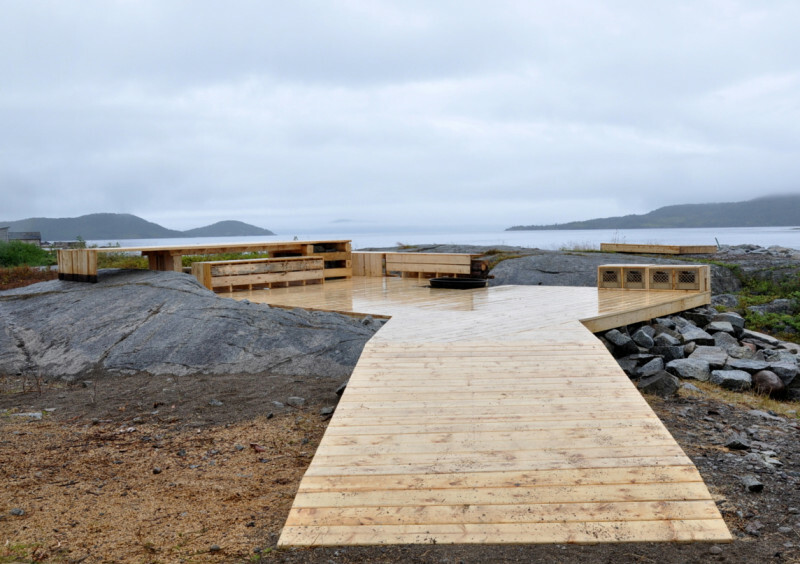 This initiative by ERA Architects and the Centre for Urban Growth and Renewal (CUG+R), uses research, design, and planning to help support livable communities undergoing economic and cultural change after the decline of the Northern Cod Fishery. The Culture of Outports team uses historical research, field research, and public consultation to assess the built, natural, and “intangible” cultural resources of a community. The knowledge gained through these processes is then used to design specific interventions in the local landscape. These interventions, though modest in scale, are intended as focal points for community engagement and cultural landmarks around which new cultural activities and micro-economies can grow. 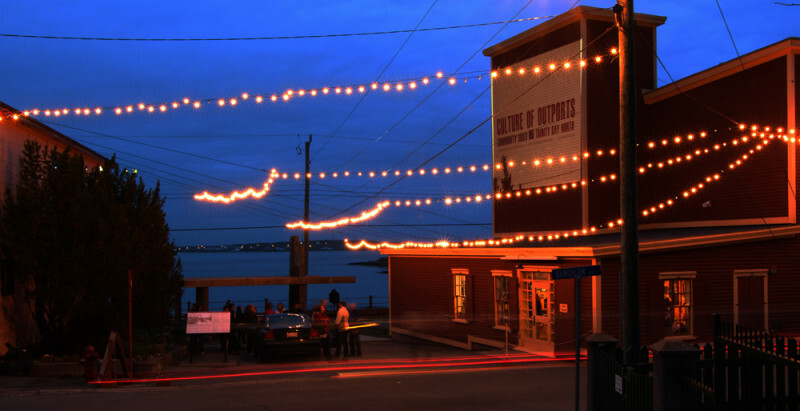 Founded in 1916, Port Union was long the headquarters of the Fishermen’s Protective Union and is North America’s only union-built town. 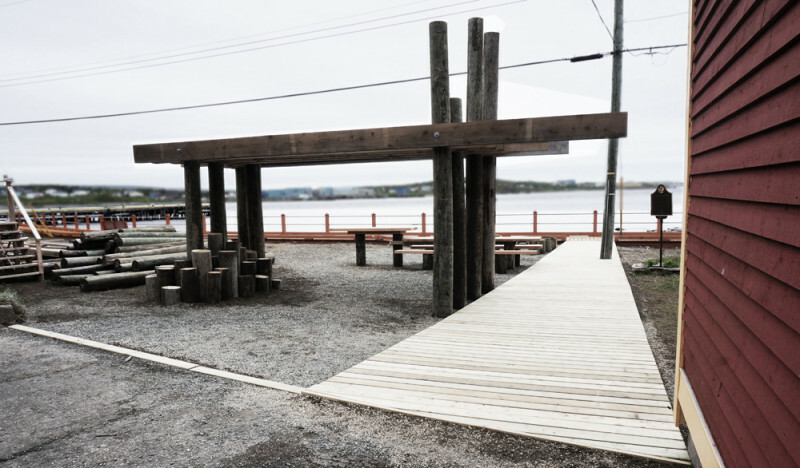 Our design intervention, known as Foundation Square, was sited at the central waterfront location in town and is intended as a landmark, meeting place, picnic area, and playground. 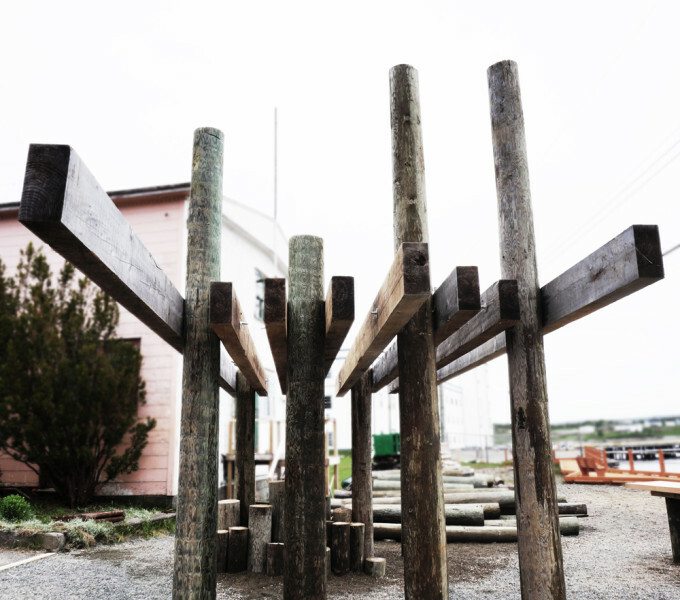 The Square includes a new boardwalk connection to the existing shoreline walk, an arch framing the view of the ocean, seating for rest and dining, and a fire pit to gather ’round at night. 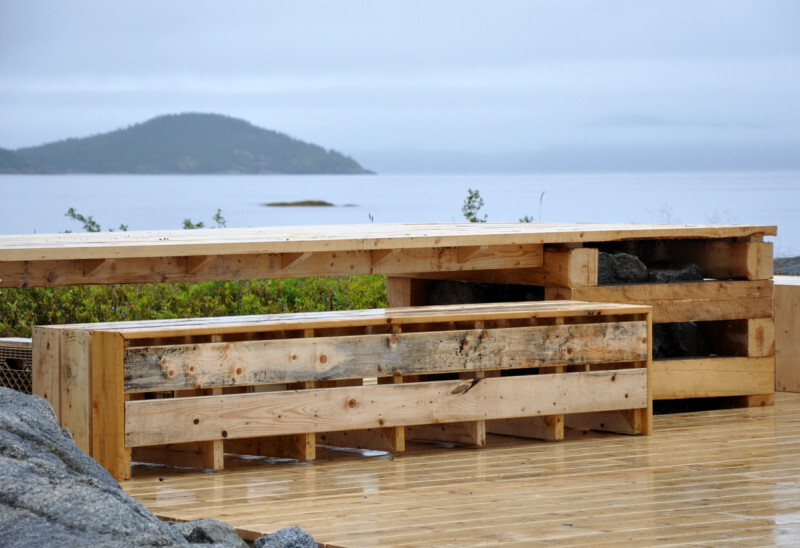 All materials were locally salvaged, and community members of Trinity Bay North (including residents of Catalina, Little Catalina, and Melrose) were fully engaged in the entire design-build process. 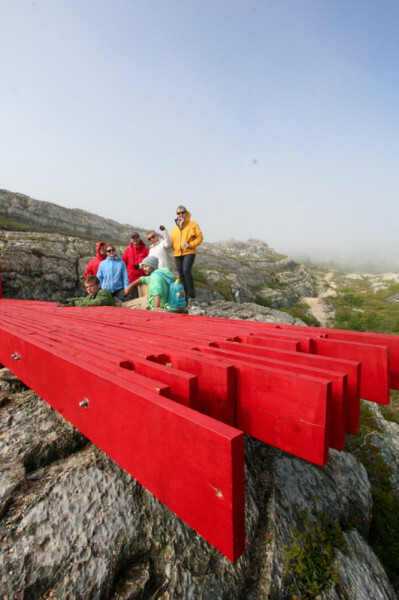 Our 2012 project built a bright red deck-like structure on a historic lighthouse trail that had become underused. 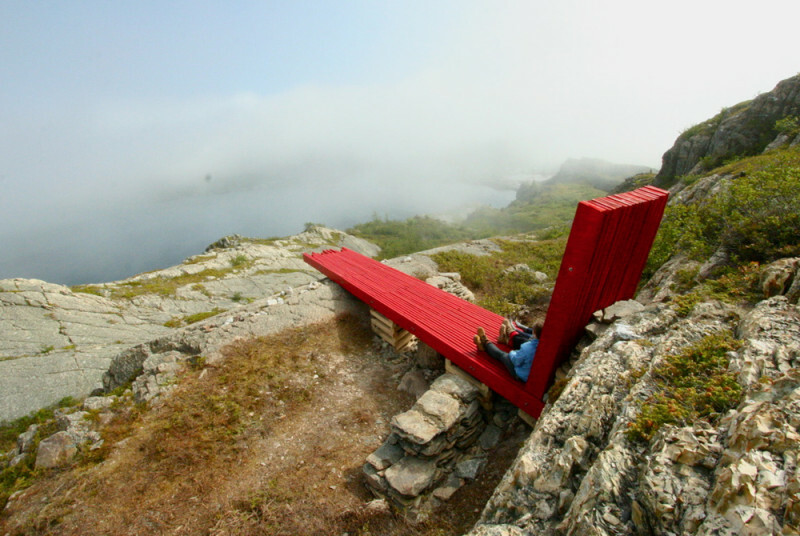 The design is meant as a destination point, a gathering place, a lookout, and a visual flag for the trail itself. Its design plays off local wood construction such as docks, boardwalks, and piers, and incorporates the use of traditional drystone walls. 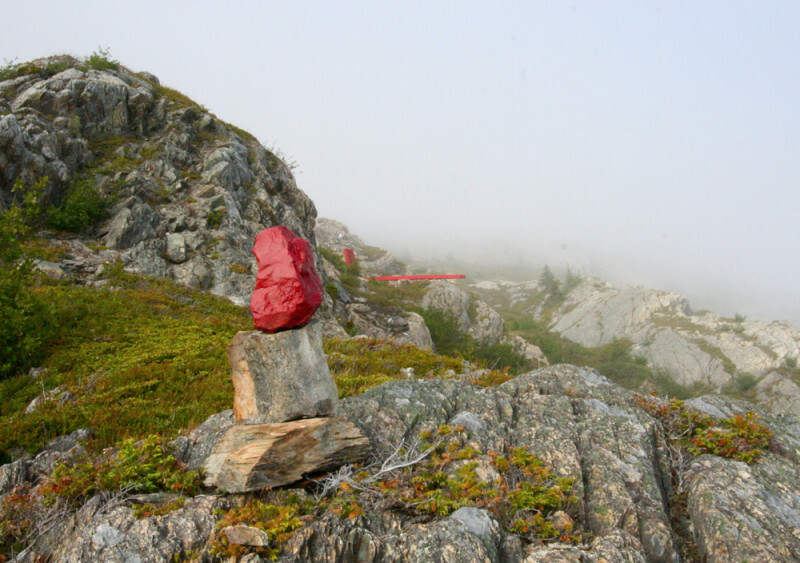 With this project, we were able to bring more awareness to the trail, encourage its use, and stimulate local and tourist engagement in an important cultural resource. As with many outport towns, Burlington has a long history of both fishing and shipbuilding. 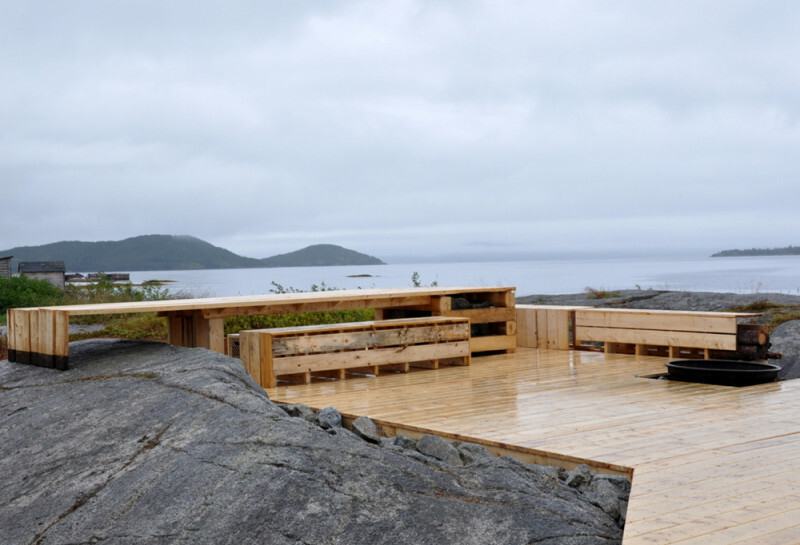 This 2011 project drew upon traditional building technology and local materials to design and construct a new waterfront destination that would serve as a gathering place, lookout, performance stage, fire pit, camp site, and local landmark. For more ideas, images, and news on all these projects, please see cultureofoutports.com.